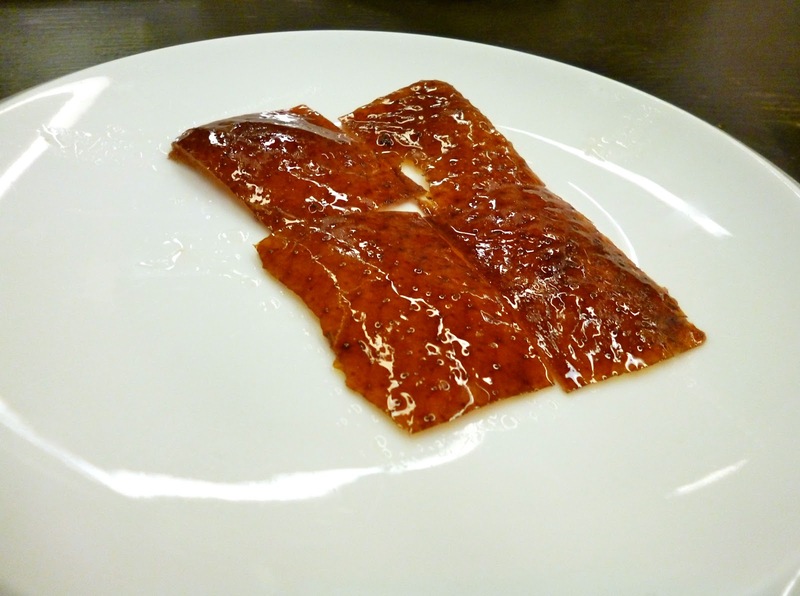 I have written about Imperial Treasure Super Peking Duck in a previous blog entry and have raved about their delicious peking duck. 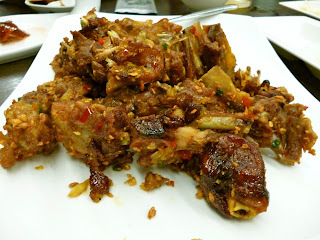 I got to try out a few other dishes this time around when I went here with friends. 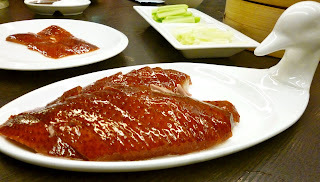 We of course still ordered the Peking Duck (SGD 68.00). 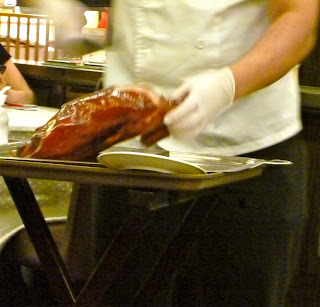 The quality of their duck is consistently wonderful. The crispy skin just melts in your mouth from the first bite. There was very little fat and yet the meat was so tender. I am thankful this restaurant never ceases to amaze me with their peking duck! We had the Marinated Jelly Fish with Spring Onion (SGD 10.00) as appetizer. The seasoning on the jelly fish was fantastic. The spring onions I thought brought a nice flavor. 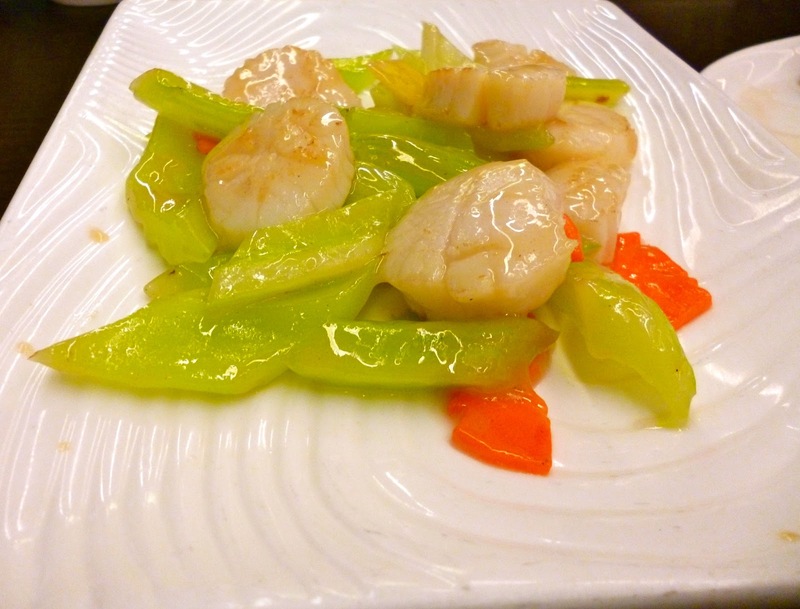 For greens, we ordered the Sautéed Scallop with Vegetable (SGD 30.00). This was a bit on the pricey side for the serving size. Overall flavor was good and the celery was nicely cooked without any bitterness left to the vegetable. 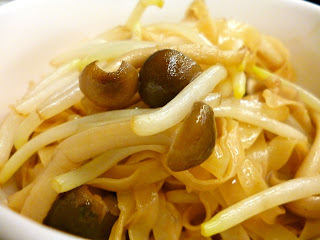 Last of our orders was the Braised Thick Noodle with Hon Shimeij and Truffle Oil (SGD 16.00). This was really delicious. The aroma and flavor of truffle was distinct but not overpowering. This was my first time to taste truffle oil on a chinese dish and thought the use of this ingredient was done smartly. Imperial Treasure is definitely top notch when it comes to Peking Duck. I'm obviously a fan of this place. 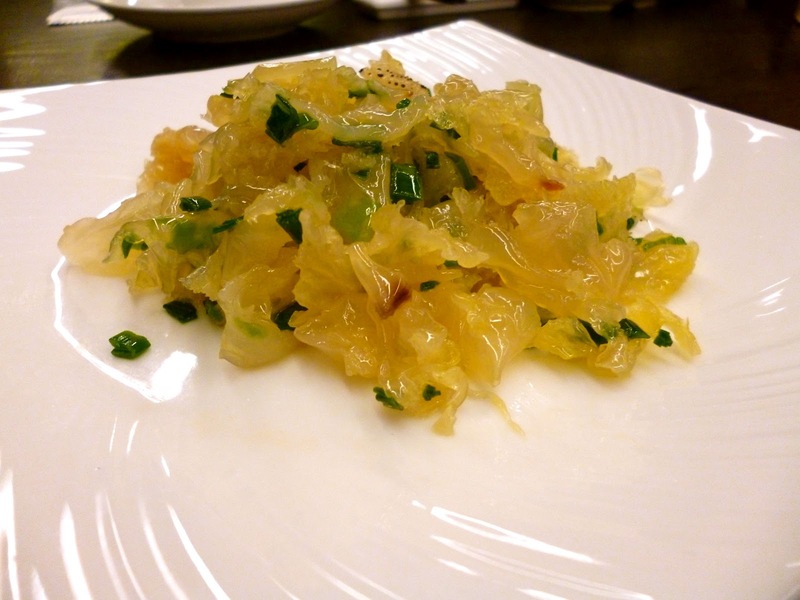 The jelly fish and noodles we ordered have also made it to my top things to try when visiting this restaurant.